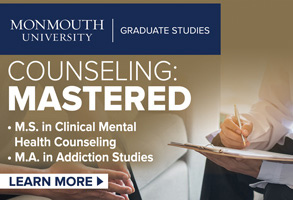 The field of counseling has experienced tremendous growth in the past 30 years. Unlike psychology, whose founding as a profession goes back almost 150 years, counseling is a relatively young profession. In many respects, the origin of the counseling profession can be traced back to the founding of what is now the American Counseling Association. In 1952, four groups came together in partnership to provide a greater political and social voice for what would become the counseling profession. From these four original divisions, ACA has grown to include 19 national divisions and 38 active state and international branches. The profession of counseling is currently recognized and regulated in 49 states. California remains the only holdout. An active group of professionals, supported in part by ACA, continues to work toward the goal of counselor licensure in California. However, obstacles remain, as several groups continue to oppose counseling efforts in California. The rationale for opposing counselor licensure in California is familiar language to many — “counselors are inadequately trained,” “the scope of practice for counselors is too broad,” “current groups are adequate for meeting community service needs, so there is no need for an additional mental health profession in California.” Of course, all of these assertions are false. Unfortunately, truth is not always the central consideration or the foundation for debate in the legislative process. The reality is that opposition to counselor licensure in California comes down to, as it almost always does, a “turf issue.” While legislative efforts are intended to enact laws for the public good, the process is somewhat Byzantine and often comes down to access, influence, money and votes. California is fundamentally different from other states. Our nation’s most populous state, with more than 36 million residents, 12 percent of all Americans live and work in California. If California were a nation unto itself, it would have the eighth largest economy in the world, comparable to that of Italy. Social and political trends in California often spread to the rest of the United States. Ironically, one such trend that originated in California was professional licensure. 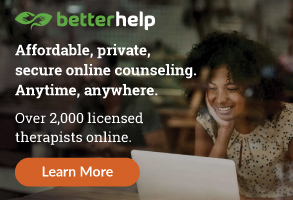 Compared with the approximately 100,000 licensed counselors throughout the country, there are about 50,000 licensed marriage and family therapists in the United States. However, well over half of these MFTs — approximately 27,000 — live and work in California. In the past, many counselors who moved to California were compelled to seek the MFT license in order to engage in recognized professional practice, even though their training and professional orientation remained essentially that of a professional counselor. Passage of an appropriate counselor licensure bill in California remains a top priority for ACA, and we commend our members and colleagues in the Golden State for their tireless efforts in spearheading this important legislative effort. We also appreciate the many professional groups that have either publicly supported or privately encouraged our efforts. The mental health field in general and the counseling profession in particular remain works in progress. Rather than continuing to engage in costly and acrimonious “turf battles,” I believe we can better shape our professional futures by collaborating on issues of concern and building a consensus of understanding. To this end, I would also like to call upon the leadership of those few remaining groups that continue to oppose counseling licensure efforts in California to work with the ACA and its partners. As counselors, we are ready to listen and help move things forward. Do you remember a few months ago when President George W. Bush signed legislation specifically identifying counselors as providers of mental health care for veterans? In case you were wondering what has happened since, here’s word from Scott Barstow, the American Counseling Association’s director of Public Policy and Legislation. So what can you do in the meantime? Volunteering with veteran and military family readiness groups may provide you with a level of experience that will give you an edge in hiring when these positions open up. Just keep in mind that it’s a waiting game. The wheels of government turn slowly. Where do you think the saying “It takes an act of Congress” originated? Those who utilize this service must recognize that these statistics are averages and that many factors can affect individual earnings. Numbers published here should be considered as guidelines, not gospel. The U.S. Department of Labor also has broad salary information available about the profession that has been developed through its Bureau of Labor Statistics (www.bls.gov/). Two helpful areas are “Wages by Area and Occupation” (look under the “Wages, Earnings and Benefits” heading) and the online Occupational Outlook Handbook (under the “Occupations” heading). You can also go to the Occupational Information Network Resource Center at www.onetcenter.org to access salary information. A word to the wise: Double check your distribution list before clicking “send.” Circulating a personal response to an individual through a forum with hundreds of “lurkers” could undermine your professional goals. A recent example … A faculty member sent a position announcement to a Listserv. One of the faculty member’s friends who was interested in the position responded, thinking the response would go only to the faculty member. Instead, the response was posted to the Listserv, disclosing a variety of information about the person, including a willingness to accept a lower level rank than this individual currently held. Two problems here: First, the entire list (including any colleagues working at the same institution) is now aware that this individual is seeking a new position. Second, any leverage this person may have had in negotiating for a higher rank has been lost because the disclosure of willingness to settle for a lower rank was accidentally made public. If you are posting information to a Listserv that may invite responses of a personal nature, you can help your colleagues by providing a personal e-mail address. And if you want to respond to a Listserv posting with information that you don’t want everyone to see but a personal e-mail address isn’t included, you can still use the Internet — to look up an old-fashioned phone number through an online directory. I recently had a conversation with one of our members who was discouraged about her job search. “I don’t qualify for any of the positions that are listed,” she told me. When I asked her to elaborate, she said she met most of the qualifications, but not all. What I suggested to her (and what I’m sharing with you) is this: Position announcements are a wish list for the perfect candidate. Search committees recognize that the perfect candidate may not exist, and even if he or she does exist, the position may not be of interest to that candidate. If you are attending the ACA Annual Conference & Exposition in Honolulu in March and plan to participate in the Career Center as either an employer or a candidate, look for registration information on the Career Center section of the ACA website beginning in November. We are also seeking a few career counselors who would like to volunteer in the Career Center to help review résumés and provide job search guidance to counselors. 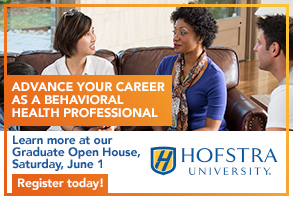 If you’re interested in volunteering or have questions about the Career Center, e-mail me at acacareers@counseling.org. At first glance, Bradford Keeney’s work seems deeply rooted in the past. After all, he is one of the world’s foremost proponents and practitioners of “shaking medicine,” which he calls the oldest form of healing medicine on Earth. John Gottman, on the other hand, has earned widespread acclaim in part for his ability to look into the future — accurately predicting, after briefly observing their interactions, whether a couple will stay married or get divorced. But American Counseling Association President Brian Canfield believes both men, despite their radically different research styles and approaches to therapy, have words of wisdom to share that are equally important for the present-day practice of counseling. Keeney and Gottman will each offer a keynote address at the ACA Annual Conference & Exposition in Honolulu in March 2008. With that statement, you quickly understand that Keeney doesn’t necessarily believe in practicing by the book. Mentored by anthropologist Gregory Bateson, cybernetic scientist Heinz von Foerster and experiential psychotherapist Carl Whitaker, Keeney has originated several psychotherapy techniques, including improvisational therapy and resource-focused therapy. He has worked at a variety of respected psychotherapy institutes, including the Ackerman Institute, the Karl Menninger Center and the Philadelphia Child Guidance Clinic at the University of Pennsylvania. In addition, he has written numerous books, including Aesthetics of Change, Mind in Therapy and Improvisational Therapy. He has also served as the director of several doctoral programs in family therapy. As he explained to Counseling Today in an interview, “I left it all to go back to school, in villages from the Amazon to Africa. And I don’t know that I’ve graduated yet.” Perhaps not, but today he is accepted as an elder in numerous cultures around the world and considered a spokesperson for their practices of ecstatic shamanism. Keeney’s travels of immersion resulted in an 11-volume encyclopedia of the world’s healing practices, Profiles of Healing, that is acknowledged as one of the broadest and most intense field studies of healing and shamanism ever conducted. He is also the subject of American Shaman: An Odyssey of Global Healing Traditions, written by ACA members Jeffrey Kottler and Jon Carlson, which won a Best Spiritual Book Award from Spirituality & Health magazine in 2005. Keeney says he will use part of his keynote at the ACA Conference to call for continued creativity in counseling. That means continually pursuing innovative ways to connect with clients and push them to take action. As a young student at MIT, John Gottman assumed that he would spend his professional life focusing on the relationships between numbers, setting out to earn a degree in mathematics. That he instead has become one of the world’s foremost authorities on relationship dynamics at the human level is due in some small part to the fact that one of his roommates was studying psychology. “I found his books much more interesting than my own,” Gottman says. He went on to earn a master of science degree from MIT in mathematics and psychology and a master of arts in clinical psychology and mathematics from the University of Wisconsin. He then obtained a doctorate in clinical psychology from Wisconsin. 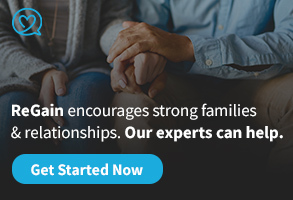 One of his professors at Wisconsin was Mavis Hetherington, a pioneer researcher in the field of family dynamics, a topic that grabbed Gottman’s attention. “I was very drawn to looking at interacting systems and really learned to favor observational approaches,” he recalls. Gottman’s aptitude for observation has resulted in a treasure trove of information about relationship stability. While teaching at the University of Washington, Gottman founded what the media popularly referred to as the “Love Lab.” The lab was actually an apartment where couples were invited to talk about their day, discuss a cause of conflict between them and share a positive aspect of their relationship on different occasions. The interactions were videotaped and data were collected, including physiological factors (such as heart rate) and emotional interaction (using a coding system to categorize different emotions). “We wanted to find out what these couples were thinking and what they were feeling at different moments,” Gottman says. By analyzing the data, Gottman, Robert Levenson and their colleagues discovered they could accurately predict whether couples would remain married several years down the road. (Best-selling author Malcolm Gladwell’s book Blink features a chapter with an in-depth look at the system Gottman and his colleagues developed to make these predictions.) The appearance of any of what Gottman terms the “Four Horsemen of the Apocalypse” — criticism, defensiveness, contempt or stonewalling — during conflict was a major predictor of relational instability. Making goals and values intentional — talking about shared goals, missions and legacy. In addition to conducting continuing research on marriage, relationships and parenting, John Gottman is a clinical psychologist who works almost exclusively with couples. He is the cofounder, with his wife, of the Gottman Institute, which trains mental health therapists. He is also the executive director of the nonprofit Relationship Research Institute, where he is currently examining interventions for the transition to parenthood. Among his books are The Seven Principles for Making Marriage Work; The Relationship Cure: A 5-Step Guide for Building Better Connections With Family, Friends and Lovers’ The Mathematics of Marriage; and Raising an Emotionally Intelligent Child: The Heart of Parenting. He has shared his knowledge of relationships on TV programs such as Oprah, Dateline NBC, Primetime, 20/20 andToday. On Oct. 9, a noose was found hanging from the office door of Madonna Constantine, an African American professor at Columbia University’s Teachers College and a member of the American Counseling Association, again shining the national spotlight on racism in the United States. Early that morning, Constantine’s coworker and research partner Derald Wing Sue, also an ACA member, was told about the noose by a colleague. Sue, a professor of psychology and education in the university’s Department of Counseling and Clinical Psychology, notified the authorities and immediately called Constantine to inform her of the situation before she arrived on campus. Constantine, also a professor of psychology and education, as well as director of the Teachers College Cultural Winter Roundtable on Psychology and Education, was stunned and outraged by the overtly racist act, according to Sue. Counseling Today was unable to reach Constantine for comment. Sue indicated that she had been inundated with interview requests from major news outlets across the country in the days following the incident and was currently taking a break from the media spotlight. New York City police were summoned to the campus and immediately began investigating the incident, which they are treating as a hate crime. Shortly thereafter, university administrators sent an e-mail blast to all faculty and students informing them of the police presence and denouncing the racist action. Constantine coauthored the book Addressing Racism: Facilitating Cultural Competence in Mental Health and Educational Settings with Sue. She is regarded as a distinguished voice in the field of multicultural counseling and has been very outspoken on matters of race and equality. Constantine was the recipient of the 2001 ACA Research Award for her influential studies of multicultural counseling competence. The Society of Counseling Psychology and the Society of the Psychological Study of Ethnic Minority Issues have also recognized her work. She serves on the editorial boards of the Journal of Multicultural Counseling and Development (a publication of the Association for Multicultural Counseling and Development, a division of ACA), the Journal of Counseling Psychology and the Journal of Black Psychology. Following the rally in support of Constantine, the college community gathered at a town hall meeting to discuss its concerns with a panel of school officials. University administrators stood together and once again condemned the perpetrator and asked that the Teachers College community unite in dialogue against racism. In the days following the incident, police requested campus surveillance video of the building in which Constantine’s office is located. The video was turned over to the NYPD Hate Crimes Task Force but showed only the entrance to the building, not the interior offices. Sue said the hate crimes unit has interviewed him three times, and he has “the feeling that it’s going to be very difficult to find the person responsible.” He noted that the noose will be tested for DNA evidence, but unless the perpetrator is in the national fingerprint and criminal history system maintained by the FBI, there is no way of determining who it belongs to. Speaking with Counseling Today roughly one week after the incident took place, Sue said the campus remained in turmoil as false reports and theories continued to pop up in the college’s classrooms and in the news media as police investigated the possibility that the culprit is a disgruntled student or fellow faculty member. According to open court records, Constantine filed a defamation lawsuit against another professor earlier this year. Constantine was also asked to provide a list of all her students to police. When asked about those theories, Sue responded, “ I’m not going to even comment on that. There are people’s reputations at stake here. There are rumors everywhere, and it’s all speculative.” He added that he sees the disturbing incident as a learning opportunity and hopes the campus community will continue to hold open discussions about issues of race and racism. “On behalf of the American Counseling Association, of which Madonna Constantine has been a longtime member, I want to express sadness over the despicable act directed toward this award-winning and well-respected colleague,” said ACA President Brian S. Canfield in a statement published on the association’s website and submitted to several counseling Listserv communities. “This was a senseless expression of hatred, one that causes understandable anger and outrage in many of us. Ironically, this act underscores the critical importance of Madonna Constantine’s work and that of other professional counselors who seek to improve society by helping others gain insight into their frustrations and the inappropriate behaviors which sometime result. In an effort to bring American Counseling Association members more complete information about the ACA presidential candidates, Counseling Today is pleased to introduce the four individuals running for the association’s top leadership position. Each candidate was asked to provide information for four questions. This month, they answer two of those questions. In the November issue, their answers to the two remaining questions will be featured. Complete information for all four candidates, including biographical information and goals statements, will be featured in the December issue of Counseling Today. That issue will also include biographical information and goals statements for those participating in elections for ACA divisions and regions. Editor’s note: The following information is printed as it was submitted from the candidates. Counseling Today has edited only for spelling and minor style issues. There are still thousands of counselors who are not members of the American Counseling Association. How would you reach this broad-based, specialty-driven population? multicultural competencies to provide training for mental health professionals and others on local and state levels. We will increase working with our own divisions and regions to build stronger relationships. I will invite colleagues from across disciplines to join us in open discussions of difficult issues exploring a wide range of worldviews. We will collaboratively publish the results of these discussions. Under my leadership, ACA will become actively associated with a humanitarian cause. I will further develop public policy and legislative training for helping professionals to further ensure parity and the quality of mental health services on all levels. With the assistance of our insurance carrier, the ACA Foundation and other entities, we will publish online and hard copy publications which provide specific skill training and other articles of interest to helping professionals. We speak of graduate students as being our greatest resource. I will build upon graduate student ideas and energy to move forward in areas such as technology, diversity and connectedness with other professions. Finally, I will support real-time and virtual conferences and meetings involving other professional associations and colleagues across disciplines. Lynn E. Linde: In order to reach professional counselors who are still not members of ACA, the question must first be asked: Why haven’t they joined? We must first look at the needs of this group and determine what resources and services they would find invaluable and then use that information to tailor a membership outreach campaign. ACA must be viewed as being in the forefront of professional counseling and the membership benefits invaluable in one’s practice setting. This may mean changing the way we package membership and offering more of a menu approach to benefits. Members would then be able to select additional services and resources that best meet their needs. ACA needs immediate name recognition; getting there requires a marketing campaign and outreach efforts so both counselors and the public know what ACA is and does. A second method of reaching nonmembers is through personal contact. Most of us joined the association because someone invited us to become involved — and, so, we became engaged. We need to continue our personal outreach efforts to nonmembers to invite them to participate at the grassroots, state or national levels, so they too will see the value of belonging to ACA and its entities. Marcheta P. Evans: Over the past several years, the leadership of this association has worked actively to address the issues of declining membership. Through the development of surveys, focus groups and hiring of membership specialists to investigate the cause of this shift, a multitude of reasons has been reported for this decrease. The question posed is, can we realistically be all things to all professional counselors? I believe we must meet the needs of our broad-based, specialty membership by tackling the issue of declining membership through multiple creative approaches. These ideas range from including membership payment options over time, discounts for multiple-year commitments and recruitment of members, and new marketing strategies of the profession via commercials. We must have a product or experience that our membership finds valuable — one that can meet the needs regardless of specialization. We can no longer expect individuals to join just because their professors told them to join. 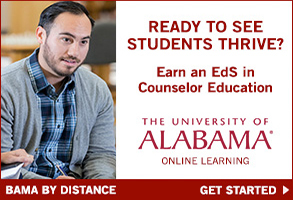 Yes, our counselor education programs are a critical component to our success. These programs instill a value of professional involvement, but we must find ways to keep the counselors once they are a part of our association by giving them a return on their investments of time and resources. ACA can be that one professional voice for all professional counseling, regardless of specialization. Michael C. Lazarchick: The majority of members join because someone asked them. Those that stay find value. I joined when a professor passed out membership applications. After 30 years of conventions, my network includes thousands of counselors. Conferences are rejuvenating. Attending workshops or presenting or just conversing expands knowledge. Do you not find comfort in the fact that colleagues with varied interests take actions on committees and in divisions or regions? Their work benefits all counselors personally and professionally. ACA provides the forum that brings these people together. Numbers translate into lower group insurance rates and a louder voice with legislators. That message, and the messages from all the others who find value, needs to be shared. I would further develop our marketing plan and teach members how to recruit. I would seek to expand ROAR, which rewards members for their efforts, because a primary purpose of ACA is to use its resources to serve members. Holding the belief that participation enhances growth and breaks isolation, I have taken the responsibility to recruit new members. In return, I have received countless testimonials confirming that truth. Sometimes we have to take people by the hand to get them on the dance floor. One of ACA’s strategic priorities is public awareness. What methods would you recommend to reach external constituencies (e.g., members of Congress and identity-related groups such as AARP or the Alliance on Mental Health)? 15 years in gaining recognition as an association for professional counselors. But there is still much that needs to be done. A multifaceted approach utilizing members as well as the association is necessary to reach ACA’s external constituencies. ACA needs to continue its marketing campaign until we have visibility and name recognition. Additionally, we need to continue to develop collaborative relationships with the media so that ACA is perceived as an expert resource to be called upon and quoted when events happen or when information is needed. We need to continue to work with our sister organizations on topics of common interest to solidify our position as representing an important constituency. This will require outreach on our part. We also need to continue our efforts at the local and state levels. Members need support in becoming more adept at marketing themselves and their programs and gaining recognition and public awareness for those things they do. ACA must also provide support for coalition building at the local and state levels. And, lastly, members must continue to increase their public policy efforts at the local and national levels. Marcheta P. Evans: There have been over the past several years wonderful initiatives developed which need to be further explored to examine the long-range impact on public awareness. One such initiative involved the development of a commercial highlighting the services of counselors as professionals. It was aired in certain markets, and I believe it to be a wonderful achievement for our profession. The community was impressed and saw the work of the profession. As with any attempt to operationalize a strategic plan, there is no one set way to accomplish this priority. The priority of public awareness must be addressed through all types of print, technology and personal interactions with the audiences in which the association must be engaged. These include enhancing the training of current membership on grassroots public awareness initiatives and developing professional marketing strategies which specifically target such groups as members of Congress, AARP and the Alliance on Mental Health through print and video mediums, podcasts, webcasts and other technology-related forms of communication. Michael C. Lazarchick: External constituents or their customers have needs. Every time we deliver a service or provide information that addresses one of these needs, we are elevating our image in public awareness. We need to provide congressional staff with information on issues that will help them prepare briefs for their congressperson. We need to submit articles to the AARP Bulletin and similar publications on a regular basis, written by counselors, for general public consumption. We need to submit links to articles written by counselors that support information found on fact sheets published by the Alliance for Mental Health. Of course, we need to use every type of media outlet and understand that we are limited only by the extent of our imagination. How quickly would our penetration level rise in public consciousness if Marina Sirtis (Counselor Troi on Star Trek: The Next Generation) made a public service announcement? Most important, we are among the most educated people on this planet and are in a very noble occupation. We need to share our knowledge and skills at every opportunity. When we serve other humans, fight injustice, respond to tragedy and take actions to heal our planetary community, we are creating our image in public consciousness. A. Michael Hutchins: ACA has collaborative relationships with many other organizations. Under my leadership, ACA will create a networking map to explore the next steps in coalition building. Using emerging technology, I will expand dialogue with groups who have common concerns and passions to share expertise, vision and strategies. As ACA president, I will actively explore our emerging relationships with worldwide colleagues. Some of our entities work collaboratively to train counselors in other parts of the world. We must continue to do so. Working with the International Association for Counselling, I will encourage collaborative visioning, participation and action. We must share the energy and creativity of our graduate students and emerging professionals by participating in collaborative efforts across disciplines. By working with our credentialing and training associations, I will encourage cross-discipline training. On a local level, we will actively work with branches to provide relevant training and work with community organizations on local concerns affecting our clients and their communities. ACA will continue to develop close relationships with the “press” on local, state and national levels. Through our scholarship and leadership, we will become the “go to” organization in specific situations, publicly being acknowledged in the media. We will become an NPR sponsor.